What else is more ideal after the spending season is getting affordable and discounted pampering deals to start the new year. 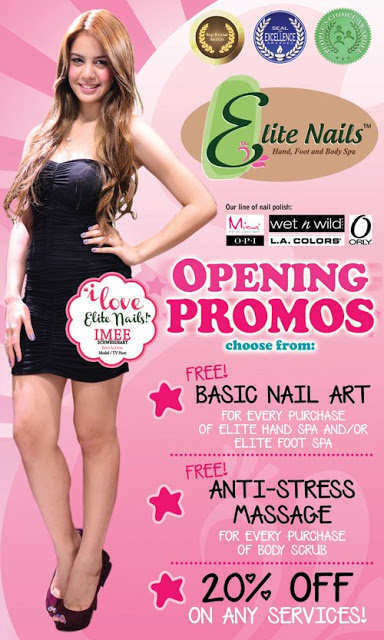 Elite Nails – Taytay brings you a great reason to celebrate with the latest promos that will surely make your pockets smiling happy. 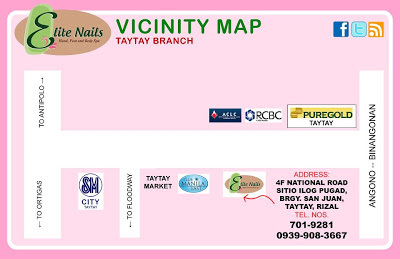 Get a FREE Nail Art* when you avail of our Elite Hand or Foot Spa. We’ve got endless choice of cute designs you’ll surely have a hard time making your best choice. You can add more fun by inviting some friends that will make more than a pair of happy nails for sure! You can also take advantage of this promo after having accumulated stress from all the shopping chores you did. Nothing beats a fresh start for 2013 but with a stressed-free you, have a FREE Anti-Stress Massage when you avail of a Body Scrub treatment. This two are indeed the best combination to jumpstart your year, hurry now and book an appointment today! Last, but definitely not the least, Get 20% Off from all our services! You read it right, a 20% shaved from the pricelist is enough reason to get in your feet and make sure you’ve fixed your schedule just in time to avail our discounted pampering treats. Wow! 2013 is still a great year to indulge, it’s going to be a promising year for everyone but bear in mind that wise spending will bring you to your goals right and the promos above won’t let your budget stray. 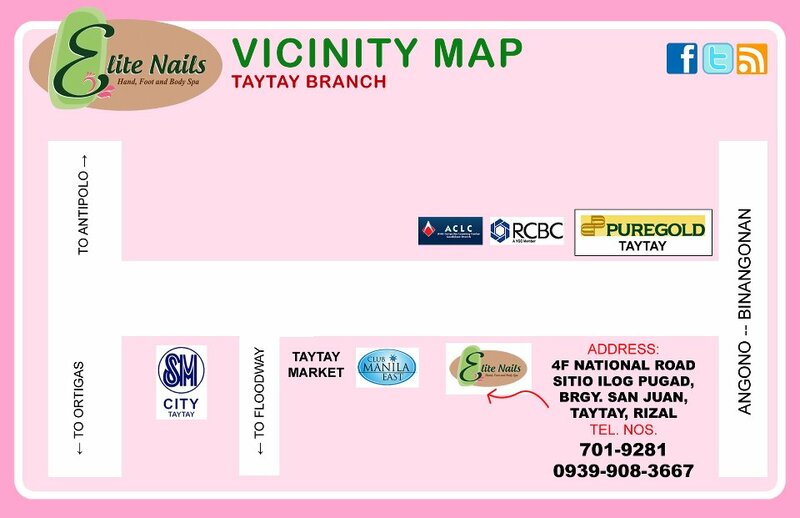 To know more about these promos, you can call Elite Nails Taytay at (02) 701-9281 and 0939 9083667 or visit us at 4F National Road, Sitio Ilog Pugad, San Juan Taytay Rizal. See below location map for your guide.